You have plenty of equity. Were you able to build your home’s equity? 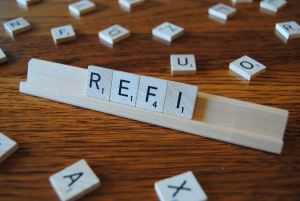 Your answer to this question will tell you whether it’s time to refinance or not. Any experienced mortgage lender will recommend that you build at least 20% equity in your home in order to refinance your mortgage without paying private mortgage insurance. Here’s a pro tip: If the value of your home increases, so does your equity. Wait for the price of your home to go up before you decide to refinance your mortgage. You have a good credit score. Refinancing your mortgage at a low interest rate is a smart financial choice. But remember that low interest rates don’t just happen randomly. Are you responsible with your credit? Are you paying your debts on time? Refinancing your mortgage could work well for you at this point if you have a credit score of at least 680 and above because that will give you better access to low interest rates. You have decided to shift to a fixed rate. An adjustable rate mortgage and a fixed rate mortgage both offer potential benefits. If you initially chose an adjustable rate mortgage but found out later that it’s going to reset to a higher rate, you may want to refinance to a fixed rate mortgage. A fixed rate mortgage will maintain the interest rate in your mortgage agreement, giving you better financial control than with the possible fluctuations with an adjustable rate mortgage. You plan to keep your home for the long term. When clients inquire about the prospects of refinancing their mortgage, we always ask them how long they plan to keep their home. The rationale behind this is quite simple. 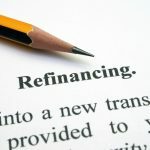 When you refinance, you are required to pay a few thousand dollars in closing costs. In a nutshell, it is more financially viable to refinance your mortgage if you do not intend to sell your home in the next few years. Refinancing your mortgage opens doors to great financial opportunities, particularly if you seal a refinance deal at the right time. Reading up on the topic can help you understand the basics, but engaging a mortgage professional is still the best way to come up with a mortgage decision that is financially sound. At Texas Lending, we explain mortgage refinancing to the fullest so clients can use sound financial judgment. Call our loan officers today for an in-depth discussion about refinancing and how it may work for your unique financial situation.